The Zeiss 50mm f/2 ZE Makro-Planar T* Manual Focus Lens is a fast 50mm macro lens that provides up to half life-size images. 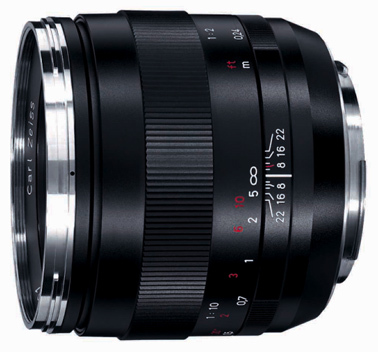 Living up to its reputation, this Zeiss macro lens offers exceptional high resolution and image quality over the entire focusing range, from infinity to close-focus. It is the ideal close-up lens for the exacting 35mm SLR photographer who doesn't mind using a manual focus lens.